S'pore's New Digital Concierge Service AskVoila Gets Your Chores Done With Just An SMS! With the rise of the Internet in the 90’s, shopping has been streamlined into a simpler, quicker process through a click of a button. Local startup Voilà however, aims to further expedite the shopping process and make it even simpler – through the use of text messaging. 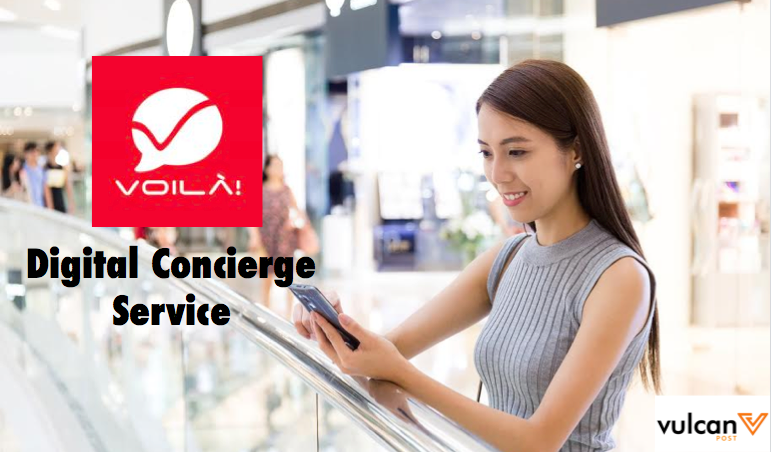 The idea isn’t new and we have seen the rise of digital concierge services as such in Singapore – you can request for anything through Voila and get them done for you, everything through text messaging. It works exactly the way it claims. Start a conversation via SMS, Whatsapp or Facebook Messenger with a personal shopper, ask for suggestions, select from the choices presented to you, verify your payment and your item is promptly on its way. Marketing itself as a “one-stop personal shopping concierge”, it makes sense that the Voilà service does not limit shoppers to definite areas of shopping. It lets the consumer order anything from food, fashion clothing, groceries to makeup products and even hotel bookings and furniture, all within your specified budget. Voilà differs from online shopping in the aspect that the consumer is not bombarded with as wide a variety of choices as the latter. For that reason, Voilà is perfect if you know precisely what you are looking for, but can prove to be cumbersome (especially for the salesperson) if you’re still in the stage of indecisiveness or a generally fickle-minded consumer. If you’re lazy to do your own shopping research, Voilà will pick up your slack and do it for you, fulfilling your requests at the most economically efficient prices. Making repeated orders like food with the service also has a promising premise since your address, history of your previous orders and payment details are already logged. The difficulties that a relatively new service like Voilà poses is overcoming the initial barrier of doubt with consumers. Reviewers who have had good experiences have cited initial scepticism. Is there a catch? Amazingly, there isn’t any. The service is completely free of any sneaky backend surcharges, and the price you pay for your order is the same as if you ordered it directly from the merchant. In addition, the products purchased or services engaged have been assured to come from established merchants. So say if I were to try to purchase an iPhone, I can rest assured that it won’t be an HiPhone from China. Will it work in Singapore? Perhaps. But first it has to win the handful of competitors here in Singapore. 6 months ago too, Facebook experimented with its own version of digital concierge called M, which can make restaurant reservations, find a birthday gift for your spouse, or suggest and book weekend getaways. However, we have not heard of M since then.